Fresh Off the Page brings contemporary Asian scripts to New Zealand audiences to break stereotypes around ‘Asian’ works and narratives. An initiative of Proudly Asian Theatre (PAT), Fresh Off the Page also works to develop professional networks and community within Asian actors and theatre circles. In July, Fresh Off the page will present Conflict Circle, Singaporean playwright Ellison Tan’s foray into the absurd. With three professional productions under her belt, Ellison’s Conflict Circle challenges the nature of theatre and the futility and absurdity of performance as three actors find themselves in the role of a director, stage manager and usher. Chye-Ling Huang, PAT co-founder, chatted with Ellison, ahead of the script reading on 5 July (click here for more details of the event). 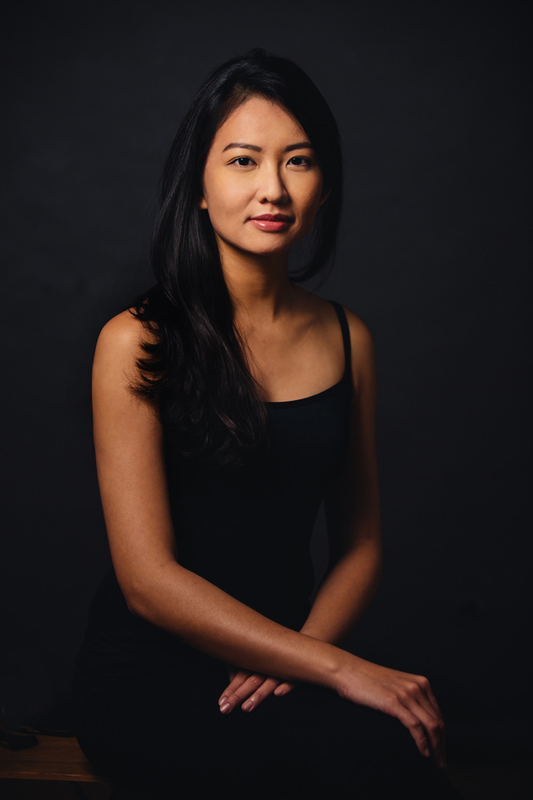 Chye-Ling Huang: How did you get into writing plays? Ellison Tan: In high school. I was in the drama club and we had to write our own plays because the club didn’t have the budget to hire a professional. My teacher-in-charge also thought it’d be good practice for us, and we would feel more connected to something that came from us and not from an outsider. CLH: How did you write Conflict Circle – what was your process? ET: The play was written within 24 hours, under a 24-hour playwriting competition organised by Theatreworks. Firstly, I have to say that sleep is very valuable to me and I would never have gone without sleep. I’m not the sort to finish writing five minutes before a deadline because I want to finish every character’s journey properly. So I suppose you could say I’m very… prudent in that way. My plays are always very character driven. I invest a lot in my characters. CLH: Was there a particular incident that motivated you to write Conflict Circle? ET: There was a stage manager who was known in the industry then as the best stage manager ever. She migrated to Australia after being in the industry for 20 years. I got to meet her by chance at a gathering and remember the conversation we had. Five years into her career she already wanted to leave. Then that five became ten, then fifteen, and eventually twenty. She wasn’t even counting. It got to the point where she was just going through the motion of it all. And so I wondered, why do people stay in this industry? Are the creatives also ‘going through the motions’ like the production crew? How much are you willing to give to continue staying in this industry? Or to be in this industry? CLH: How much of the final monologue is based on your experience and how much of it is based on observations of your peers navigating being an actor? ET: Hmmm, I suppose it was a bit of both, but also a general feeling that no matter what work we do, we give a lot of ourselves to it. However, society or individuals do not always seem to be aware of that. Every one goes about their day-to-day activities mindlessly, but think about the people you meet – your insurance agent that does all the paperwork, your teacher who teaches you math, your usher who shows you the way. I’ve always felt that all occupations, no matter the industry, always have an element of love in it. But people don’t seem to realise that themselves, or they don’t seem to even want to acknowledge it. But wouldn’t it be wonderful if we recognise that every individual we cross paths with is giving something from within them, and that in itself is a very noble thing? 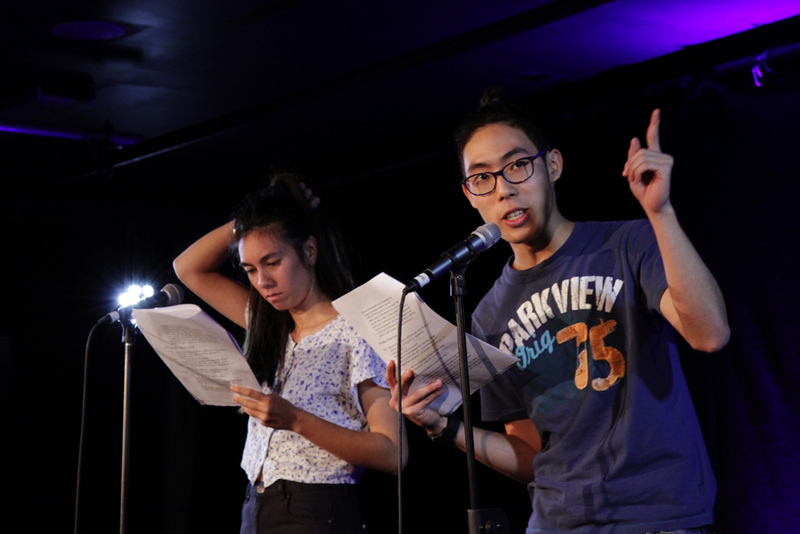 CLH: As a young playwright do you feel a certain pressure to write particular types of works? ET: This is a very tricky question for me to answer because I feel uncomfortable acknowledging myself as a playwright. In fact, whenever people ask about my work I’ll always say I’m a theatre practitioner. I also perform but I don’t even feel comfortable calling myself an actress. I suppose it’s because I feel like theatre-making is a craft that you always have to practice. But back to the question. I feel that the pressure to write particular types of works comes from myself most of the time. There is the self-awareness of wanting to write something bigger than myself, but at the same time if I were too far-removed from it, I’d feel like there might not be enough truth. So I’m always trying to balance between the two. CLH: Where do you find your inspiration? ET: My inspiration comes from the people I meet. I’m very affected by people – the things that happen to them, how they feel, why they feel this way. I suppose it’s because I’ve always wanted to understand people better, rationalise their decisions yet allow them to surprise me. CLH: As a playwright, what do you do when you get stuck? ET: I go away. I do something entirely different – cook, take a shower, jog, basically just clear my mind of all the debris that has accumulated. Then I read extensively on articles that have similar subject matters and do research. Then I go back. CLH: What do you want to activate in people when they watch the show? ET: I think I’d like people to think about why they do what they do, and to think about the replaceability of the self. And back to what I said previously about acknowledging the generosity of other people in our day-to-day seemingly mundane interactions. CLH: Where do you think Singaporean theatre is headed, and where would you like to see it go? ET: Recently there have been many young collectives starting up, and the variety of theatre offerings has therefore increased. I think that is a very encouraging trend. These smaller, independent collectives have been making some waves here and there and I hope eventually they create as much hype and excitement as the big names today. CLH: Who are your inspirations and what should we read next? ET: My mentor, Chong Tze Chien. Some of my favourite plays from him are The Book of Living and Dying and Turn by Turn We Turn. I’m also very inspired by Haresh Sharma and some of my favourite plays from him are Off Centre and Completely With/out Character. CLH: What excites you about a good play? ET: Good dialogue from characters that do not have the shadow of the playwright. CLH: What’s next for you? ET: I’m currently writing a Mandarin play inspired by the oldest radio station in Singapore, and my next acting project is Art Studio by Nine Years Theatre, part of this year’s Singapore International Festival of Arts. Ellison Tan Yuyang is a theatre practitioner from Singapore. She graduated from the National University of Singapore with a major in Theatre Studies. She is currently a core member of the Nine Years Theatre Ensemble and an associate actor with The Finger Players. Ellison is also part of the Next Generation Program in Tokyo, a three-year project for Asian artists interested in developing work for Theatre for Young Audiences. Conflict Circle will premiere in 2019, as part of Singapore theatre company The Necessary Stage’s platform, The Orange Production. The Orange Production is an exploratory platform where the company collaborates with new, emerging artists on smaller, portable works staged in a black box theatre. Fresh Off the Page is proudly supported by Unitec, The Basement, Q Theatre, Creative Communities Scheme (CNZ) and The Asia NZ Foundation. Contemporary Asian New Zealand art and culture. HAINAMANA is a first linguistic encounter with Asia from a regional perspective. All content is © of the Author and may not be reproduced without the Author's consent.